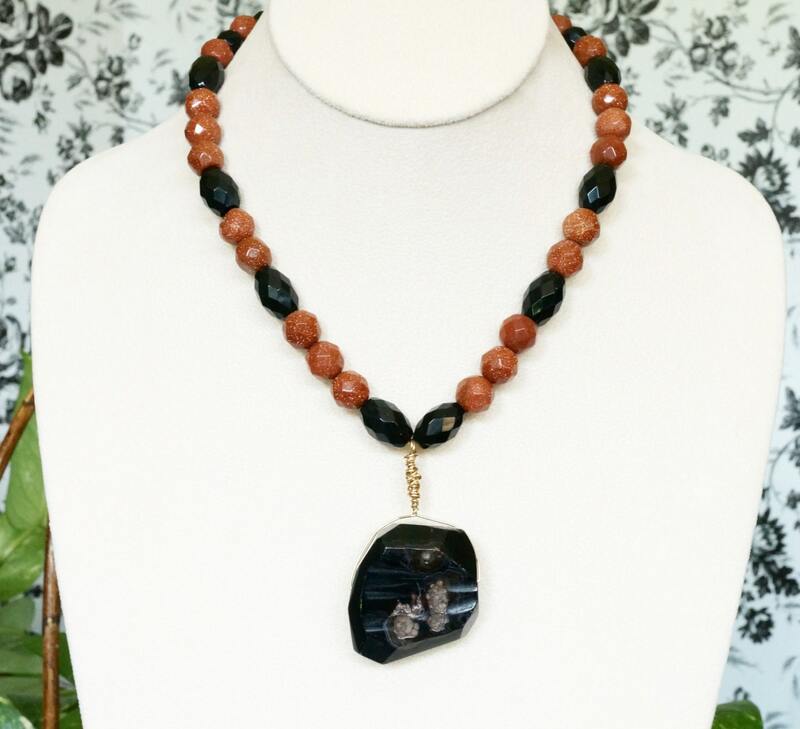 Here you have a statement necklace with a focal black agate pendant that is wire wrapped in gold. It has some imperfections that give it such a unique look. 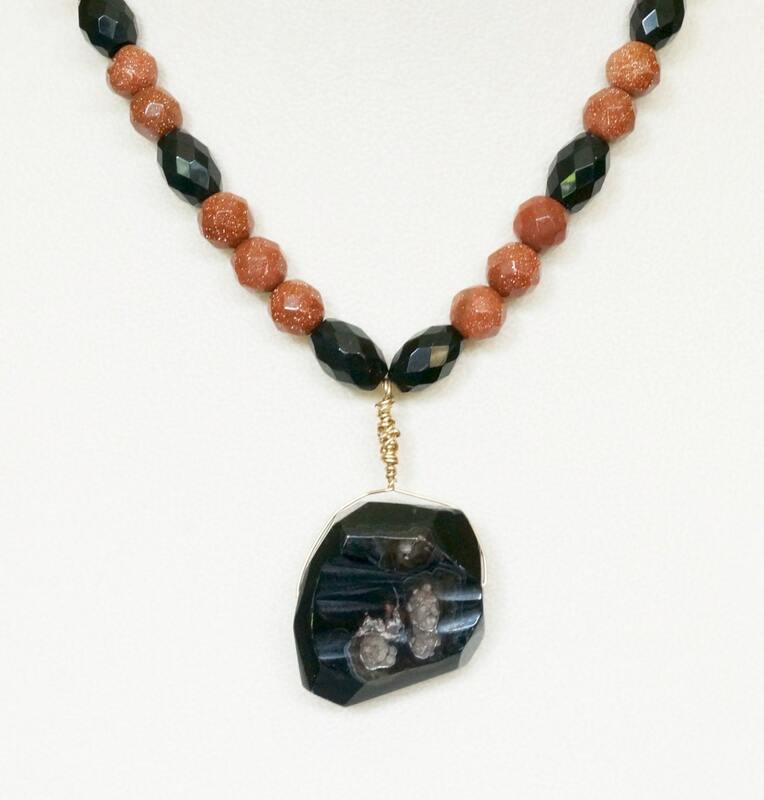 The necklace part is made up of faceted round goldstones, faceted barrel black onyx, and faceted round black onyx. The clasp is an S clasp that is gold plated. 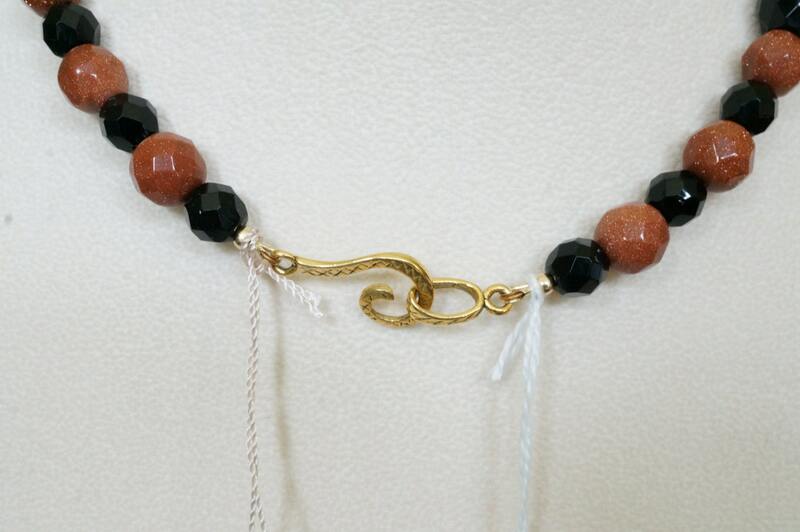 The length of the necklace part is 16.5 inches. The pendant is about 2 inches long.